Upcoming program offering at Hollyhock in September 2019! Click here for more information. Upcoming program at Rancho La Puerta! Click here for more information. 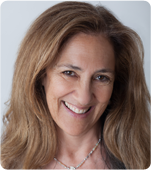 Dr. Lilli Ruth Rosenberg has been working in the field of psychology and education for over 30 years. Whether you are suffering from anxiety, depression, anger, challenges in your relationships, trauma, stress, grief, addictions, or low self-esteem, Lilli is able to support you in making a painful journey one filled with more ease, purpose, and even enjoyment. She has an exceptional ability to contribute to your development, and to the cultivation of a variety of beneficial strategies and skills for addressing your dis-ease. Lilli’s extensive background in studying the human condition has equipped her with insights and approaches that are dependable. Doctoral studies in the area of transformational learning, happiness, and integrated health, have well prepared her for supporting you through your challenges to greater well-being. Lilli’s position as a Professor at two Universities keeps her current with the research on effective therapies and evidence-based practices for individuals, couples and groups. Lilli is able to support you in cultivating awareness of beliefs, thoughts, emotions, feelings, and behaviours that move you through your suffering and into sustainable health and happiness. She is creative in designing a combination of approaches to fit your individual needs. In the first session, there is often an experience of immediate relief, a deepening of understanding, and strategies for forward movement. The atmosphere is non-judgmental, safe, calm, inspirational and focused. Alongside her clinical work, Lilli has been teaching and training therapists. Her courses include techniques for brain-based learning, ethics, aging, grief and loss, life transitions, and couple’s counselling. She is well-versed in solution-focused skills and strategies for working through and resolving the multi-layered tribulations of life. Her work as a supervisor for other counsellors and practicum students contributes to her expansive knowledge. She is able to bring these deep understandings to your therapeutic process with her. When I was 18 years old, I lived in Sri Lanka, where I was intimately immersed in Buddhism. Since that time I have investigated happiness, suffering and the Science of Mind. Buddhism has beneficially influenced my personal and professional life. Formal and informal education culminated in a model of Learned Happiness, (published in 2006), which continues to evolve alongside the current findings in neuropsychology. The Buddha taught that we increase our suffering through our attempts to avoid it. We all suffer. I firmly believe that conscious suffering can deepen our connection to life, love, and well-being. However, we have a tendency to try to avoid the necessary pain of life. “One does not become enlightened by imagining figures of light, but by making the darkness conscious” (Carl Jung). I can help you become more conscious of your suffering in ways that will bring immediate relief and eventually alleviate the debilitating aspects of your suffering. In my practice I incorporate a variety of approaches for becoming comfortable with discomfort, integrating non-judgmental attention, cultivating depth of understanding, and expanding your capacity to embrace a full life. Through our varied attempts to avoid the difficult emotions/thoughts and feelings, we cut ourselves off from aspects of ourselves that are essential to proper growth and development. Just as roots need the darkness of the soil – and the nutrients that darkness provides, we too need to embrace our pain and suffering. When we meet each experience with openness – whatever the experience it is – we learn to trust ourselves and to trust life. For more details about Lilli’s credentials and training, please visit the Approaches and Services pages.